Holocaust survivor, professor emerita of Public Health at the University of Michigan and co-founder of the Raoul Wallenberg Project, Irene Butter says that given the recent uptick in antisemitism, she feels a responsibility, now more than ever, to tell her story. Published on April 7th, 2018, her book, Shores Beyond Shores, tells the story of how “she and her family were ordered out of their Amsterdam apartment, loaded into a cattle car, and sent to a holding camp before eventually being transported to Bergen Belsen”. This book is extremely well timed considering the worry that many survivors are beginning to die and the world is beginning to forget. Considering that a recent poll showed 66% of American millennial did not know what Auschwitz is and 22% didn’t know if they had heard of the Holocaust, survivor testimony may be more valuable than ever. What I find most interesting about Irene’s story is the striking resemblance to Anne Frank’s story. She and her family were taken from the same city and she was even sent to the same camp as Anne. It is interesting to think that despite such similar stories, they have been told in completely different ways. Anne’s name is now known across the globe, and Irene’s story may never have been told had she not undergone a sudden change in thinking. As some of you may know (because I talk about it all the time) I work in a bookstore. 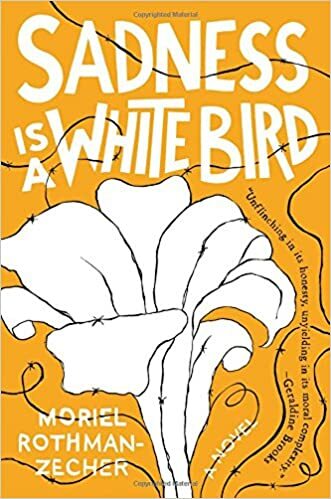 One of the perks of my job is getting to read advance copies of books, and one of the books I read that came out recently was Sadness is a White Bird by Moriel Rothman-Zecher. Sadness centers on the story of Jonathan, a soon to be 18-year old former American Jew who moves with his family to Israel to finish out high school. He meets Arab twins Laith and Nimreen and quickly develops an intense and intimate friendship with them that is complicated by the combination of Laith’s deep belief in the Palestinian cause and Jonathan’s impending entrance into the Israeli military. While most of the book focuses on how the trio navigate this complex relationship, an important part of Jonathan’s story is revealed by his grandfather, a man who escaped Greece during to Holocaust by fleeing to Israel and starting a new life. One of the biggest driving forces behind Jonathan’s patriotism for Israel and his desire to join the army is the legacy of this man and hearing about the persecution he faced. One of the most beautiful sections of the book happens when Jonathan takes a trip to Greece alone in order to try and visit his grandfather’s hometown. When he gets there the reality is that nearly every trace that there was a vibrant Jewish community in Salonica has been erased, and with it the history of violent persecution they faced that wiped them out. A key theme in the book is trying to understand the Israel-Palestine conflict as two groups of people who both feel they have been persecuted, and instead of that being a bonding point it is at the core of what drives them apart. This scene for me is the point at which I understood Jonathan’s character the best, and it serves as a perfect foil to the story of the twins’ grandmother’s persecution at the hands of Israeli soldiers that is told earlier in the book. While I would certainly not call this a Holocaust book there is no doubt in my mind that all of its character’s motivations are informed in some way by the Holocaust. Some might argue that you can’t have a modern Israeli novel that is removed from the Holocaust, but in this case the relationship is explicit and central to the story. I would recommend this book to anyone who has a base understanding of the Israel-Palestine conflict but wants to be able to see it through the eyes of nuanced and well-developed characters. 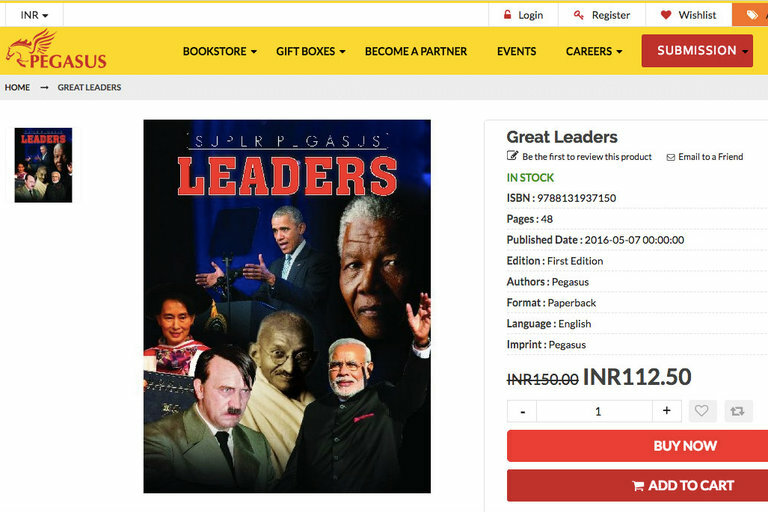 The New York Times published an article on March 17th that discussed a book titled “Leaders” published in India by Pegasus. On Pegasus’s website, the book’s description says it will discuss 11 leaders from around the world that “will inspire you”. Other leaders that the books talks about are Obama, Gandhi and Nelson Mandela. The publishing manager said that they were not saying Hitler was a good leader, but rather just portraying how powerful he was. The article goes on to discuss how Hitler is misunderstood and glorified in many parts of Asia. The main concern is that children reading this book will believe Hitler to be a good person, as some textbooks in Asia do not highlight Hitler’s extermination of Jews instead claiming him to be a prestige, good ruler. While this book was only published in India, it caught the attention of the American public because it is truly astounding that Hitler could be placed along side some of the greatest politicians and leaders of all time, some of whom are American. In class, we talk a lot about how children should be educated about the Holocaust, and with the number of living survivors declining it becomes increasingly more important that children know of the crimes and atrocities that Hitler committed. To put Hitler on a pedestal with other amazing heroes of the world, children will talk of Hitler as an icon rather than a criminal. An article by Edward B. Westermann was published on Aeon on February 16th 2018 and was linked to a post on reddit the following day. The reddit thread went to the popular page, and when I first encountered it, it had 9,900 up votes and several hundred comments. Today (three days later) it has around 14,000 up votes. While the article itself is an interesting read, what I find most fascinating is the discussion and access of the article. This article was published by Aeon, a not extremely popular news source (I hadn’t heard of it until I today), which describes itself as a, “charity committed to the spread of knowledge and a cosmopolitan worldview.” The publication is targeted mostly to an audience who frequently reads think pieces, and probably searches for Holocaust new stories. Aeon also published a narration clip of the entire article next to the text, making it very accessible. The link being posted to reddit most likely made it more popular, and definitely more accessible. Its safe to say quite a number of people (myself included) stumbled upon this article. Typically we are used to seeing one sided discussions about the Holocaust, usually an article or video explaining some sort of history of the survivors, liberators, or Nazis. Seeing one of these one sided articles turn multi-dimensional, especially with people of the present day, begins to create a dialogue different from the ones we see in classrooms or purely scholarly spheres. 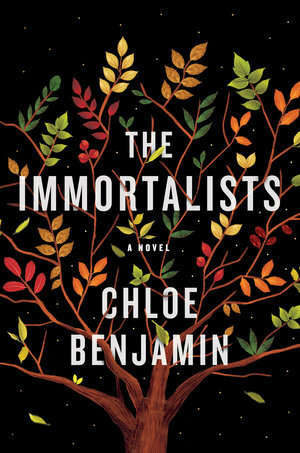 The Immortalists by Chloe Benjamin was published by Random House on January 9th 2018. I accessed this book through Audible (and consequentially do not have specific page numbers). It has been on the New York Times Best Sellers list since its release. The book follows a Jewish family living in New York in the 1970’s. The four children of the family see a fortune teller when they are very young who tells them the dates they will each die. The story unfolds as they each sibling grows up and die respectively. Throughout the story we hear mentions of the Holocaust, but the biggest mention is near the end of the book. Here, the oldest daughter remembers her late father and his few stories of being held in a concentration camp. This storyline is used as device to affirm the parents’ strong Jewish faith, and the daughter reflects on how much she admired her father’s faith, despite herself and her siblings having stopped practicing Judaism. The way this book depicts the memory of the Holocaust in an American family in this time period seems, to me, realistic. We’ve talked in our class about how important the need for telling what happened during the Holocaust to preserve memory and prevent reoccurrence is important to Jewish Americans. We see this trait greatly in the father, as even the memory of him sustains stories of the Holocaust for his children. I also like that this is from a fiction novel, which I feel is the category we pull the least amount of our pop culture references. Posted on Facebook on Monday, January 22, a woman explained the story of her great grandparents’ struggle in Nazi Germany. The author describes that she is applying for her German citizenship to be restored so that she has a place to flee if need be. She relates the political atmosphere in the US today to the atmosphere in Nazi Germany during the Holocaust, suggesting that they are quite the same. The author included images of Holocaust paraphernalia in her post as a reminder of what hate could lead to. As easy as it is to jump to conclusions, I believe ideas like this are quite problematic. It seems that comparisons like this undermine the impact of what actually occurred during the Holocaust. The author simply points out that the labeling of groups of people is problematic as it looks similar to the Holocaust, but the Holocaust was much more than labels. As well, one commenter referenced the movie “Schindler’s List” as a parallel to what is happening in the US today. I find this problematic as well, as Hollywood depictions of what occurred during WWII cannot be good representations of history. If the woman who shared this post and those who support it knew more about the gruesome details of the Holocaust, I don’t think these comparisons would be made. It seems that the American memory of the Holocaust has always been one presented in movies or novels as a sugarcoated representation. As discussed in class, many people during and after WWII had a difficult time understanding what really occurred in the Holocaust. This post reveals that perhaps not much has changed since then as the author of the post and some commenters seem to recall a more light-hearted depiction of the Holocaust than what actually occurred.